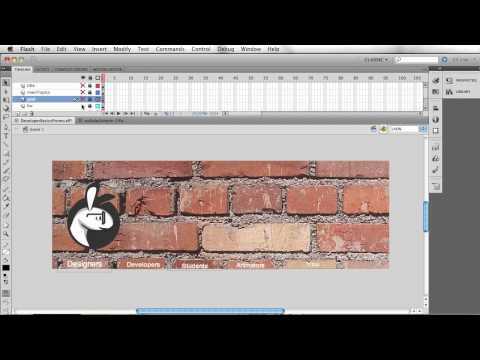 Flash tutorials from the ground up. Everything you need to become a successful Flash developer. Why learn from our Flash tutorials? These talented people take time off their own work to try and share something they know to help others so I can only support it and admit that we love and admire the free Flash tutorial web sphere. Now you're likely wondering why you should pay for something you can get for free. The big difference between articles, free Flash tutorials and our site is two words: customized learning. We are focused on you unlike the other content online that is more slanted toward showing skills and is is usually narrowly focused on one topic. Our site's objective is more personal: you and only you. Our goal with our teaching structure is to help you grow as a developer and give you tools and capabilities to become a master developer. Other online resources (Flash tutorials and such) or even books can't have a close personal connection with you and develop with you and your needs. Some of our content is free (including Flash tutorials) as we love sharing and giving back to the community -- we really love the free and open web. We also want to build a very close relationship with out student: to make that happen costs a lot of money and time, so we must charge for this personalized service. In an ideal world my site would be fully free but my fridge would be empty except for half-filled cat food cans! ;) We charge as little as possible, but if you have financial issues, contact us and we will work with you to help you take our courses. What do you get out of our flash tutorials? There are two popular types of teaching styles these days: focusing on a buzz key word such as "html5" (then giving you no deep concept that would help you grow as a developer) and a very broad topic that would fit a large market for ease of selling in masses. Both these styles have a place and are good at some level, but for many this style just doesn't work: it's expensive over time and you miss very critical building blocks without which you keep depending on other flash tutorials to get things done. We don't' work that way! we don't create buzz word titles: we create titles we really think and know will expand your skills and make you better developers. If we don't believe it in it we don't make it - our agenda isn't very marketable, we admit. It's hard to sell someone an idea that will take 1-2 years to get to where you want to be, while selling a 15 minute video which claims you'll learn how to do everything in 2 minutes is really easy. By the way this first title is totally free, so you can get started before you even consider wanting to spend some green.